This dish came 4th in Linda McCartney Foods search for Britain’s Best Vegetarian Dish. I made these up after having eaten a burger at Borough Market on Good Friday. This is probably one of the best things I have cooked of late. I added some cooked rice as I didn’t want too many breadcrumbs but I reckon it would work without them and also with oats instead. This makes about 8 burgers and you can freeze them before frying. Start by frying the onion gently in a little olive oil until soft and translucent then set aside to cool. Once cooled mix all the ingredients together – you should have a stiffish dough when you squash it in your hands. If not add more breadcrumbs. 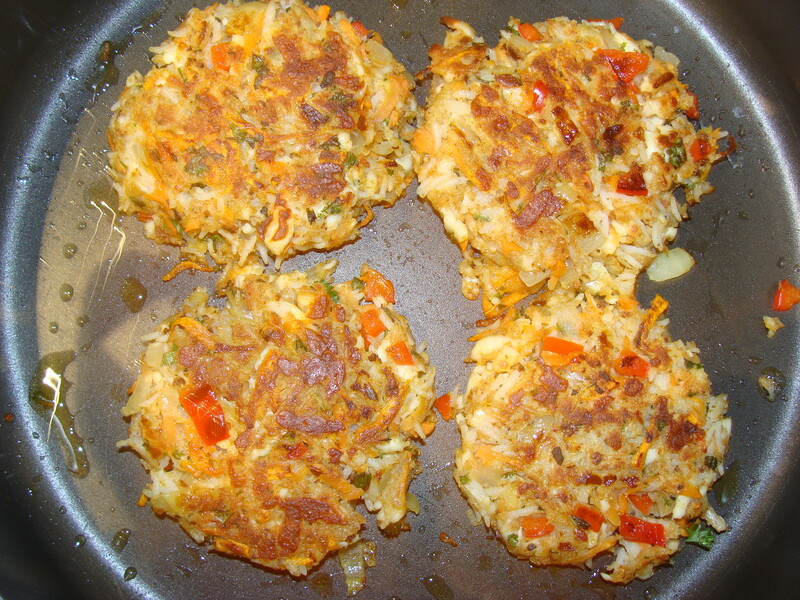 Shape into burgers and either place on a tray in the freezer or fry gently in olive oil. Nice served in a bap with lettuce, mayonnaise and chili jam or simply with a watercress salad and beetroot relish. Alternatively serve with a salad of pea shoots and mixed leaves, sun blushed tomatoes and asparagus. 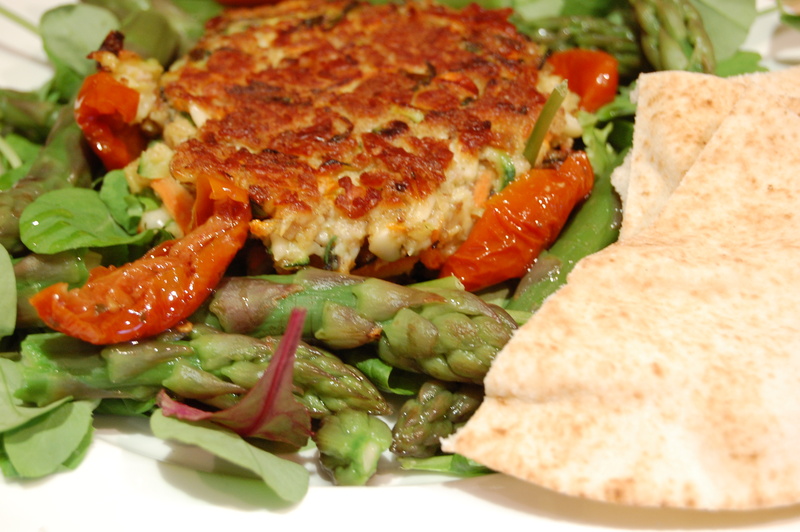 An awesome idea to use halloumi as an ingredient for a veggie burger and they look so yummy. Never tried it this way before, but I liked the idea so much that I even linked to your recipe from my halloumi page at squidoo.